Hadeel Alabbasi is the founder of I Can Talk Arabic an institute that offers holistic and interactive Arabic classes to non- Arabic speakers. 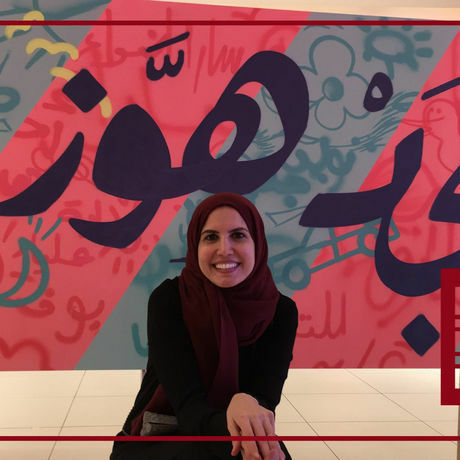 An advocate for the beautiful Arabic language, Mrs. Alabbasi has started a campaign called (Talk to Me In Arabic) to encourage everyone to speak in Arabic. She is a كلمني عربي writer and has published seven children books. With a master’s degree in Leadership Development and Coaching and a Diploma in Family Counseling, she is a life coach and gives inspirational lectures on leadership, life, and parenting. Mrs. Alabbasi is dedicated to the advancement of her society by helping individuals improve, develop, and enhance their lives. Sad I couldn't attend this meeting, see you all on the next one inshallah.